Last October, I was crowned as the 103rd Hiawatha Halloween Queen. Amazing, life-changing and absolutely unexpected, this experience has been unlike anything else I’ve encountered. This October, a new queen will be crowned, and my reign will be complete. Looking back on judging day, I was nervous and unsure what to expect. I never imagined myself as a beauty queen and was kind of uneasy about my decision to participate. However, upon entering the building and being greeted with many friendly faces, I relaxed and became confident this contest was something special. There were three portions of the competition each contestant had to complete: essay presentation, a five minute talent, and interview questions. Throughout the day, I became aware of something quite apparent; the girls in this contest were incredibly beautiful, talented and kind. Not only that — they were super supportive and eager to encourage all of their peer contestants. Honestly, it didn’t feel like a “contest” at all. We were able to converse and even had dinner together afterwards. I still feel extremely grateful to have been named the 2017 Hiawatha Halloween Queen. I met new people and began friendships with girls I may not have ever known otherwise. Being granted a scholarship and the privilege to ride in local parades is a pretty great bonus, too. 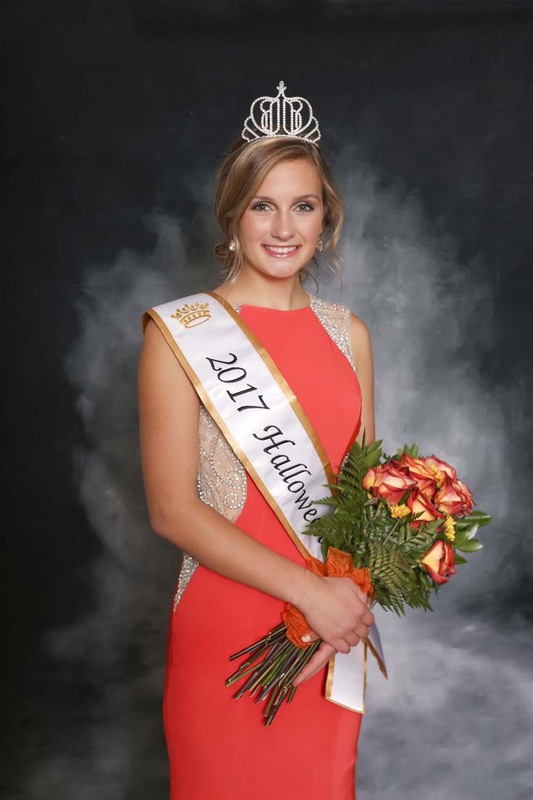 The Halloween Queen, I learned, is an important role model for young girls in the community and northeast Kansas as a whole. I want to thank the 2017 Queen Committee for selecting me as their recipient, and I’d like wish the 2018 Queen Contestants the best of luck in the competition this fall. I encourage all high school senior girls to consider entering the contest. This 104-year-old tradition is an event I will treasure for many years to come.